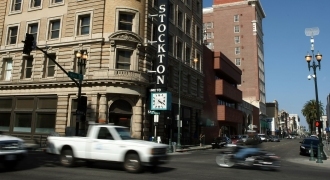 File image of a bank in Stockton, Calif. It's a list Stockton, Merced and San Bernardino are not proud to be on. The three California cities are ranked among the 50 Worst American Cities to Live In, according to 24/7 Wall St. The financial news and opinion website recently published the ranking using a formula that included comparing crime, economy and environment data.